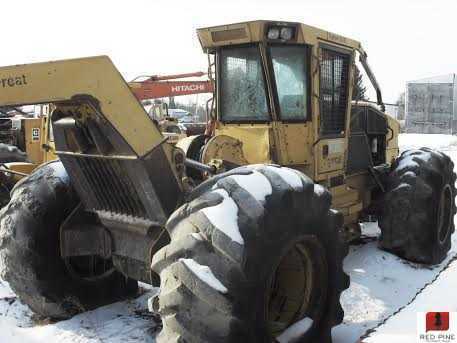 2001 Tigercat 630B Grapple Skidder with Winch. Owner stated that this unit has around 10,500 hours runs and starts good, reinforced and extended boom, tight pins and bushings, strong hydraulics. Owner said that this skidder has 30.5x32 tires @ 40%, winch works needs cable, heat, A/C, and lights. Contact Erik @ Red Pine Equipment 218-720-0933. Machine located in Canada.